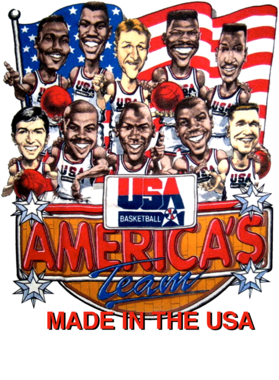 You will be sure to enjoy this Usa Basketball 1992 Dream Team Caricature T Shirt - Grey which is available on a Sport Grey 100% Cotton Tee. 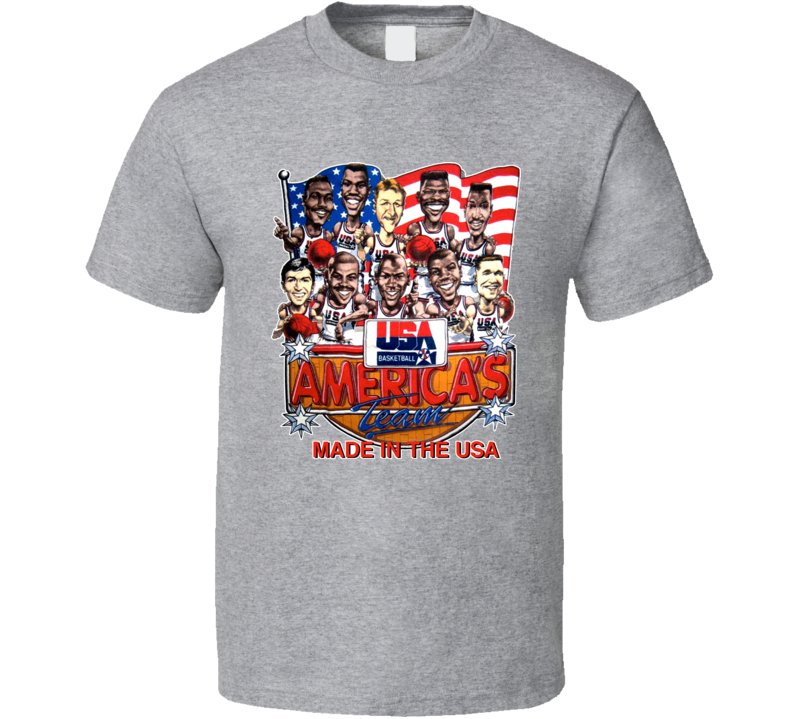 The Usa Basketball 1992 Dream Team Caricature T Shirt - Grey is available in youth, kids and adult sizes which you can select from the shirt size drop down above. T-Shirt is shipped out via USPS first class mail with tracking number.